Splash World’s own mascot Murtle the Turtle will be joined by Superman, Spider Man, Captain America, Wonder Woman and Supergirl on Saturday, September 22 and Sunday, September 23 from 10am to 4pm. Photo opportunities and the chance to win exclusive prizes throughout the weekend will be included with Splash World admission. 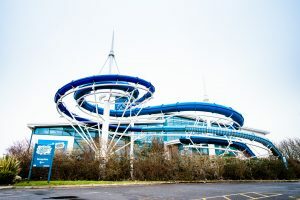 Southport-based party company StarKidz will bring the characters to life and provide fun and entertainment around the centre and at the poolside. For an extra £5 per person, guests can enjoy a special VIP experience from 1pm-2pm including party games and lunch with the characters! There are limited places on the VIP experience so call 01704 537160 to book in advance.